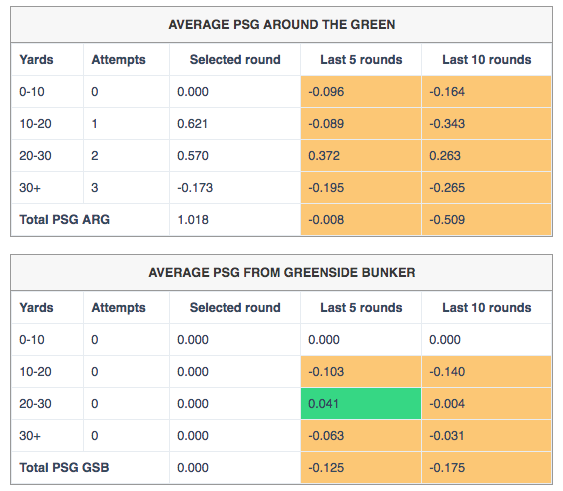 Personal Strokes Gained (PSG) compares your current round's Strokes Gained with the average of all of your rounds to see what you did better or worse in your current round. This means that it is very easy to identify what you did better or worse compared to yourself and your own normal performance. A value of 0.000 means that you are exactly average (meaning exactly the same level of performance as your own normal performance); a positive number means that you performed better than your normal performance; a negative number means you performed worse. Over time, this is very powerful as it answers the question: Am I getting better? 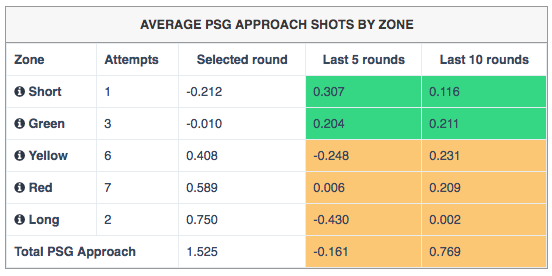 A positive PSG over the last 10 or last 20 rounds means that you are getting better; a negative one means that you are trending worse. 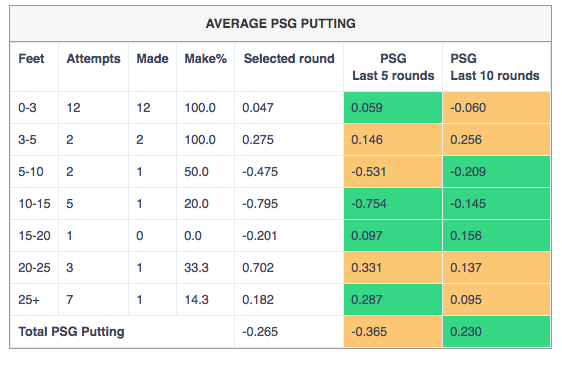 Worse putting than normal (-0.265). 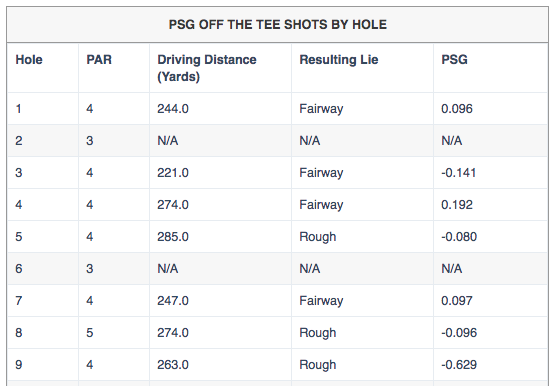 And finally, where on the green this person performed better or worse than normal. It is sometimes really difficult to know if you're getting better or not, but Anova's Personal Strokes Gained analysis gives you a definitive answer.